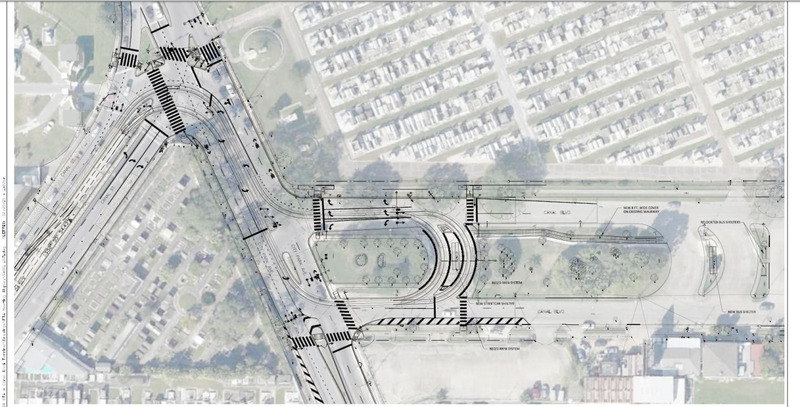 For the past several years, the RTA has been planning to extend the Canal streetcar line across City Park Avenue to meet the existing RTA and JET bus terminal on Canal Blvd. This transit terminal would make for easier and faster transfers between the streetcar and buses and eliminate the need for riders to navigate a challenging and incredibly dangerous street intersection. 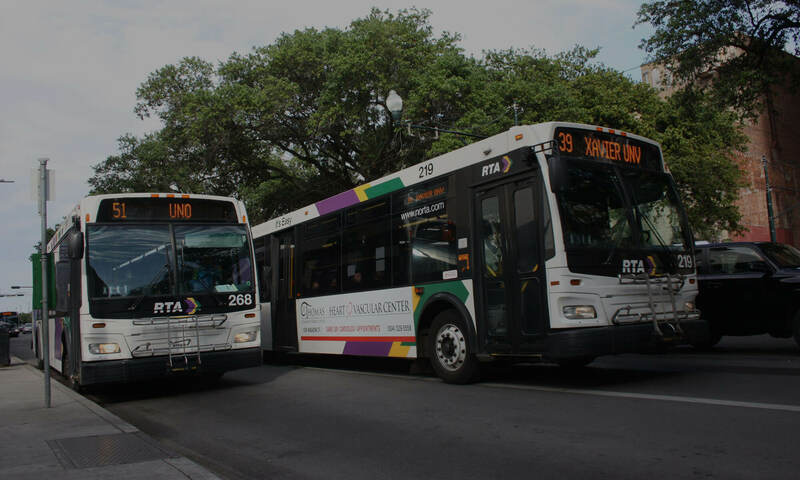 On Monday, March 9, 2015, 6 p.m. in the Jesuit High School Auditorium located at 4133 Banks Street, New Orleans, LA, the Federal Transit Administration (FTA) and the Regional Transit Authority (RTA) will host a public meeting to discuss an Environmental Assessment (EA) for the project. The EA, prepared by FTA and RTA, evaluates the potential impacts to environmental and human resources and investigates means of mitigation for unavoidable adverse impacts as a result of the proposed project. The EA may be viewed on and downloaded from the RTA website at www.norta.com. Check out the plans below and come out Monday to support this regional transit hub! Next PostNext Join a team of riders testing out new RTA technology tools!